The MIROFOSS Minerals Gallery contains an ever growing assortment of minerals, chemical elements, and man-made salts with in-depth descriptions and highly detailed images. From albite to zinwaldite, we may have what you are looking for. Due to the large amount of minerals that have been discovered to this date, samples in this gallery are organized using multiple criteria such as mineral colour, Mohs hardness, chemical group, crystal structure, as well as being able to search chemical building blocks and mineral names. Each search criteria is further divided by the Nickel-Strunz classification system and colour. 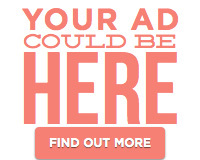 Remember, you can always find help in the help menu or by -clicking here-. Are you attempting to identify a mineral sample only by the colour of the crystal and do not know the name to search for in the MIROFOSS database? Use the 'Search Minerals By Colour' guide to view small thumbnail images of mineral samples that have been arranged by sample colour. Clicking on a thumbnail image will direct you to the appropriate article within the MIROFOSS database. Have you done a hardness test on a mineral and are attempting to narrow down what your sample could be? 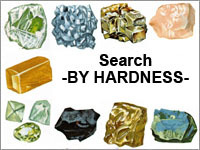 Use the 'Search Minerals By Hardness' guide to view small thumbnail images of minerals samples that have been arranged using the Mohs Hardness scale. Clicking on a thumbnail image will direct you to the appropriate article within the MIROFOSS database. The Nickel-Strunz classification of minerals; introduced by German mineralogist Karl Hugo Strunz, is an effective way to organize minerals based on their chemical composition. Use the 'Search Minerals By Group' guide to view small thumbnail images of mineral samples that have been arranged using the Nickel-Strunz classification system. Clicking on a thumbnail image will direct you to the appropriate article within the MIROFOSS database. All minerals can be divided into six basic crystal classes that make up a single unit cell. This single unit cell is a repeated crystal structure that remains consistent throughout the entire matrix of a mineral. Use the 'Search Minerals By Crystal' guide to view small thumbnail images of mineral samples that have been arranged using the base six crystal structures found in minerals. Clicking on a thumbnail image will direct you to the appropriate article within the MIROFOSS database. Just like baking in a kitchen; the right ingredients make a huge difference when minerals are formed. A slight change in the ratio of elements or the addition of some creative impurities can totally change the resulting mineral. Use the 'Search Minerals By Chemical Composition' guide to view small thumbnail images of mineral samples which have been arranged by their base elemental building blocks. NOTICE: This section of the MIROFOSS Minerals Gallery is under construction and is still not complete. When a mineral is newly discovered, it is given a name. The MIROFOSS mineral 'Search By Name' guide is best used if you already know the name of the mineral you are looking for. This guide uses the standard adopted name of mineral samples; along with many historic names which may have fallen out of general use in most circumstances.